요하네스버그, 남아프리카 공화국의 레보스 소웨토 백패커스 | 호스텔월드에서 예약하세요. Head out to the world's most famous township - Soweto. We are located in Orlando West, a vibrant community with rich history that is safe for everyone. Walk the streets and meet the people. 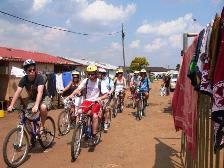 Join one of our exciting and popular tours, on bicycle, by walking or car. Play soccer with the kids in our community park. After an active day, chill in the hammock in our peaceful garden. If you still got energy, experience Soweto by night at local pubs and clubs or relax and sit around our camp fire and listen to our African beats. 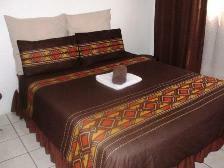 We also offer accommodation in a Backpacker Homestay. Your host is Lebo's granny who can give you more insight in to Soweto life and history. Accommodation are offered in dormitory and private rooms and you can enjoy a cup of tea or a home cooked meal in the main house. The Homestay is on a short distance from our Backpackers with the same attractions and activities on offer. Free shuttle between our Backpackers and Homestay! We offer dorms, doubles, single and camping. Meals served daily. Self catering available.